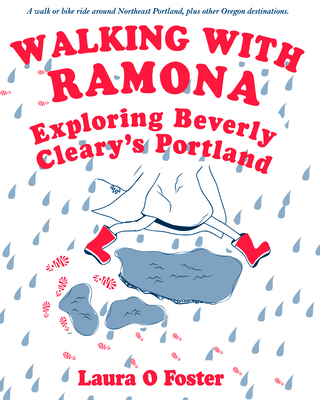 Walking with Ramona explores the streets, schools, characters, and neighborhoods of author Beverly Cleary's Portland. With this charming guidebook, readers can walk the very sidewalks Beverly walked and climb the very school steps that Beverly climbed. You'll see the grocery parking lot where Ramona got stuck in the mud, the park lawn where Henry Huggins hunted nightcrawlers, and the real Portland street that became Klickitat Street, their fictional home. Beverly Cleary's Portland was much different than the Portlandia of today. Walking with Ramona brings to life what that 1920s and 1930s Portland was like for the "girl from Yamhill" who went on to become an internationally beloved children's book author. Characters like Ramona and Beezus, Henry and Ribsy, and Ellen and Austine come to life on this hour-long walking route through the Northeast Portland neighborhood where Beverly grew up. An almost 3-mile walk or bike ride around Northeast Portland, plus other Oregon destinations. Laura O. Foster writes about the Pacific Northwest. Her Portland-based books explore the city's geology, architecture, neighborhoods, and human and natural history. She lives in Portland, OR with her family.